What's a good adhesive to use for flocking... I was using 7 minute epoxy for plastic, but it's hard to paint on my parts... Any advice is surely appreciated! You could use a 20 minute epoxy for plastic and mix a little 60 minute into it and play with the mix ratio to get it flexible depending on the softness of the head. 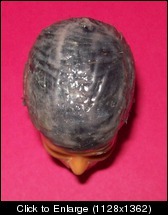 A firm head will take a stiffer epoxy fine, but a really soft head may have epoxy cracking issues. Or you could order the glue I use (info below). Either way, get yourself a small can of clear PVC primer/cleaner. It prepares the head the best and allows the epoxy to bite into it and hold better. When you get some and try it you’ll see what I mean. When you touch the head you will feel how clean the primer makes it. Nyatex Adhesive & Chemical Co.
Let them know it's the “Flock Concepts Kit”- 10E007 part A and the 10EH008-T part B (don't forget the T on the part B because it's a better pot life for flocking) Also ask for 10N1495 PolyPro Pretreat. Seeing that we are talking adhesives. If you thin your adhesive with acetone will it still have good adhesive qualities or will that be diminished a bit, basically will it still hold flock well? Thanks Ray! I ma so excited to get back at it tonight! Seeing that we area talking adhesives. If you thin your adhesive with acetone will it still have good adhesive qualities or will that be diminished a bit, basically will it still hold flock well? It should be fine just use it sparingly. Too much and it will not set up. To give you an exact measurement I don't know... “Sadly I'm a few drops at a time type, until it looks right” when dry it'll have a rubber feel to it instead of a stiff plastic feel. It also depends on the epoxy. Some you can thin out by using 1/2 a ratio more of hardener and it makes it flexible. Other types won't cure. It's a testing game. I've been able to mix other glues with epoxy and the epoxy and the other cements set up at their own pace and interlock together. I'm not a pro of epoxy, but I test various adhesives when I get a tip from a buyer or member. Some things mix well and others don't do anything. I add this info. to try and save people some money, but it just may be easier and cheaper for them to order the glue from Nyatex or even send them some sample heads and you tell them what you need the glue to do and they'll come up with a system. Firm heads are easy to glue up and soft heads are harder. No paint on the head is better. Cleaning the head with clear PVC primer/cleaner seems to be the best way, then do your glue up. The cleaner penetrates and cleans without a oily residue. The glue doctor said, E6000 is the best, but when I tested it- it didn't work. I tried 20-minute epoxy for plastic on a very soft head and it didn't setup right. It just comes down to- "off the shelf adhesives never live up to what is stated on the package. 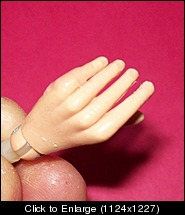 Now if you could find a long pot life Clear PVC glue or a way to mix something with it to extend the pot life longer than 10 or 20 minutes you'd have a perfect flock glue for action figures because it bites into the head and holds nylon flock firm. They have excellent adhesives out there, but you have to pay over $40 or more, but in the long run after buying a bunch of glues that will fail- the Nyatex website ends up being the best resource because flock adhesive is what they do. Adhesives that did not work well in testing. Note you may have a better result, but in my tests to find a cheap easy to find adhesive that buyers could pick up on their way home- these did not work well at all when used alone. I'm also told gorilla glue is no good. The pliobond may be useful as a primer before using a solvent based epoxy system. Same goes for PVC cement. This stuff really grabs the head and the flock, but dries in less than a minute so as a flock glue it's doesn't work well. I have tried mixing this with solvent based epoxy and it did much better, but it tends to clump up. These worked, but have a learning curve as to the mix ratios for flexibility. I would use a etch primer on a clean head first though. The better the etch left over from Hasbro's old flocking the stronger the bond for the new flocking. The stain is an etching solution on an old Joe head. I'm told water based polyruathane and clear coat acrylic work well, but I have not gotten to them yet. For testing elmers and wood glue are good because they can be removed. From tips to me by buyers, I will buy and test things because some have easier access than others to various adhesives or equipment. In light of this, I'll do some testing here and there and post the results. 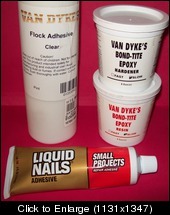 What I'll be testing are 2 adhesives from VanDyke and another liquid nails version. We'll see how they work out??? New The liquid nails peeled away so that one is out. Granted I just appied it to the head and flocked it. It might do better with some prep, but I doubt it because even without prep a good glue (to me) would still show some hold that head prep would only make better. The vandyke epoxy shows lots of promise. Long pot life (2 hours), very tacky, and good hold to a poorly prepared head (which is super soft- soft heads are tough to glue up with most epoxies because of flexibility issues. 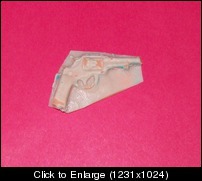 Once mixed it has a bonus (to me anyway) it's a translusant flesh color and this got me thinking about other repairs. This is after a about 6 hours! 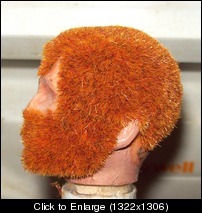 If it sticks to one of these cheapy heads it should work well on a vintage Joe head. With extreme squeezing I did notice some cracking, but it still held fast to the head. If you're all about crushing action figure heads or if you like to try and remove flocking or reflocking of course you'll be able to do so. I have not found a reflocked head yet that I couldn't remove, but if you a collector that values you items and maybe has a little fun playing with or setting up dios- this epoxy could be an option for you. Then thought what if I needed to cast a small repair part. I made a noobie mold from playdough and tried it out. 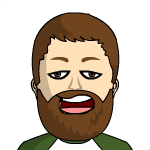 Note: this was just testing things cheaply so the result showed promise for further testing. Getting side tracked with things, I have yet to use some flock with it, but at this point I don't see why it wouldn't work well. Sticker price is like $20 a pint, but I could see getting at least a 100 heads out of that if used wisely- maybe double that. When you open it it'll throw you because the resin is orange, but when mixed with the amber hardner it's flesh tone. Note I didn't get a break on price or anything for this (hey that's an idea) Nah! I paid the 20 beans, but ended up happy with it. As far as the casting with it. I think if you need a small piece cast in a pinch and didn't want to go the whole "buying molding products , casting resins, and whatever goes along with it" this stuff could work. Test done using waterbased Van Dykes Clear Flock Adhesive! Light water resistance (I dipped it in water once dry and lightly toweled it off and the flock stayed put, but I think if I applied some real pressure the flock would come out. If you don't want to mix epoxy this could work for you as long as you're not going to beat the hell out of the head with water and hats. I get asked by many for non-epoxy glue ideas, but to date many non-epoxy adhesive have poor results. Granted they may work OK, but nothing like the Nyatex (plus additives I use) mixture. Once again I read about an adhesive (Aero Specialty Natural Glue) that stated waterproof/strong hold, etc. I ordered this for testing. It is meant for decoy flocking so on the surface it sounded perfect- water-based, water clean up when wet, waterproof when dry, plus it's an air dry glue that doesn't require UV or heat treatment as many acrylic or waterborne systems. 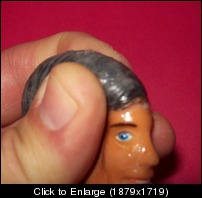 Yes if you want a pretty decent hold along the lines of the vintage glue on say, an eagle eye Joe head. I let it dry for 3 days and was able to peel it off. I noticed some shedding when I wet the flock also. So as far as flock adhesives I'd give it a 5 out of 10. NOTE: I am a bit bias because I'm used to my current partially self-developed system (with the help of Nyatex) which is as strong as the flocking on your car floor mat's or a tennis ball so, my system is has a pretty high bar. So far no retail brand adhesive has even come close and I am currently working with someone to bring this system to the market place which has the potential to help this project immensely. Up until I started ordering 2-part epoxy from my supplier in England, I used Gorilla Wood Glue. It's not water resistant at all, but just for my own usage and do create display pieces, it worked really well for me. The cure time is about an hour and what cool about it is that if you just want to do a color test or something, it's not permanent, so a soak in a water and you can take of the flock mix if you are not happy with the results. Of course, I prefer the more permanent solution, but Gorilla Wood glue did the trick for me many many times! adhesive tape provide the nice Tape Solutions offers .This is a wholesale distributor and most popular and best quality of the product.we are represent many adhesive tape manufacturers such as Shurtape, Intertape, Cantech, and many more. and over 29 years of experience in the adhesive tape industry. Well worth a look and some testing I would think. In electronic appliances and electronic wire we used tape to over the wire but tape must have good quality if their quality is not good its bad, there is chance to fire when the wire touch. Used only best quality tape. Hi Ray I was wondering is there a UK version of Nyatex? No I haven't, but I can see that some have the thickness yet still thin enough to brush on for them to work. At present, I mix two different epoxies (separate and then together) to get what I feel is a perfect mix. One is for bite and the other for flock hold and together they lock into each other. The UK adhesives in your link may do the same in one product. currently I plan on testing a UV curing adhesive. I bought a small tanning light to put the UV curing bulbs in. I did this so I could, in theory, cure a whole batch of heads instead of one at a time with the UV light pen. We'll see if it al works out. There is still much to work out at this point.